Not only is Connie one of the nicest people I have ever known, she ALSO bakes THE BEST cakes I have ever put in my mouth. We order them for every single occasion. It was love at first bite and I will never order a cake from anywhere else! Her bakery, Cakes Like Heaven, booked up WEEKS before Christmas. So, Connie knows not everyone lives close enough to Madison, or Huntsville, Alabama to personally sample of one her delicious cakes. 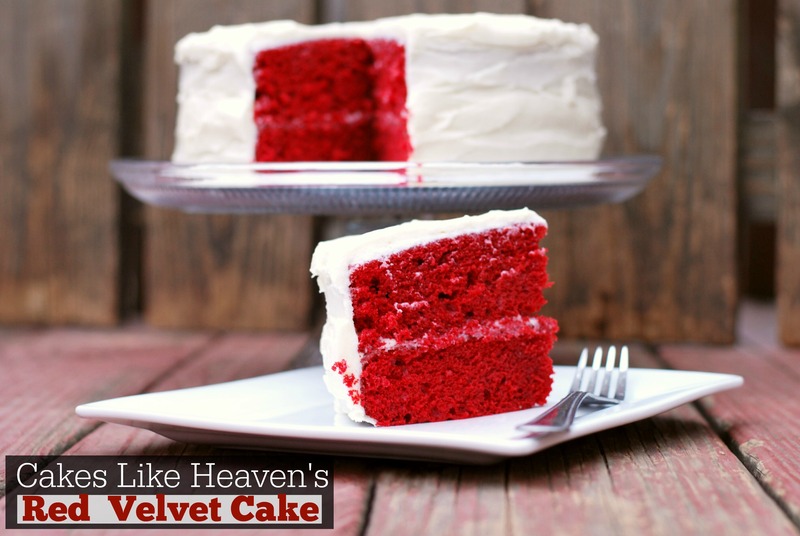 (If you are, I will put her business info below) She has SO graciously offered to share her recipe for her FAMOUS red velvet cake with you guys!!! *SQUEAL* It is my absolute favorite and the one pictured above is my birthday cake!!! I started baking when I was in my 20’s…(a long time ago..ha ha!) I loved to bake my famous carrot cake for my friends. My mom taught my sister and I to bake, and we’d bake it up at Christmas! It was a great tradition, and I bake like crazy with my girls now! My sister Paulette, whom I love and adore, is a great cook and baker. She caters and does wedding cakes. She taught me a lot, I always wanted to be like her! I moved from Ohio to Alabama when I got married and I enjoyed baking for my new southern hubby and our friends. I made cakes for parties, for church, for friends…and they kept telling me that I should sell my cakes! So…I thought I’d try it! I just love making people happy with my cakes, and I love cake. Who doesn’t want a great, delicious cake to remember their special day….or any day? Life is short, eat the cake!!!!! Isn’t she just the best? I can’t wait for y’all to try her Red Velvet Cake! Here is her Bakery Contact information for locals! Beat softened cream cheese and butter. Add powdered sugar and beat until creamy. Once cake has cooled completely, frost it. Enjoy!